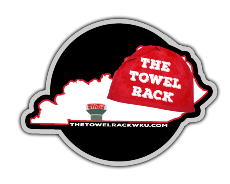 The Towel Rack is a place to hang your thoughts when it comes to Western Kentucky sports. Providing fans with a unique view on the Hilltoppers from news, rumors, opinions, previews, game coverage, recaps and more. Welcome to The Towel Rack. Happy Tuesday, Topper fans (or non Topper fans. I’m not here to judge. I’m just a blogger trying to get people to read us). Happy Friday, everyone. Who’s rising and who’s falling around WKU athletics as we head into the weekend? Wednesday morning, 6’11” junior center Matthew Horton said that he will be reopening his recruitment and leaving the Hill.